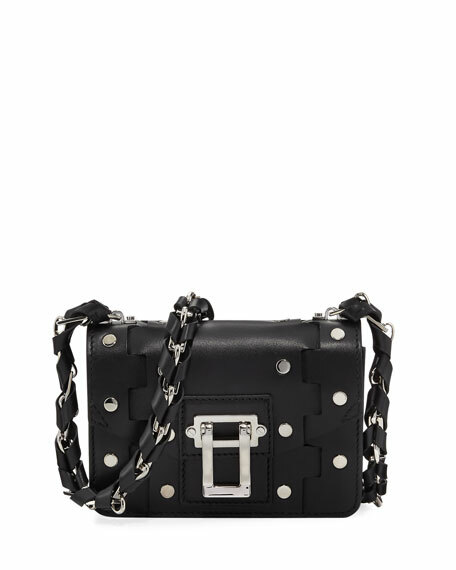 Proenza Schouler smooth calfskin crossbody bag with stud trim. Woven chain-link shoulder strap, 19.5" drop. Approx. 7.5"H x 9"W x 4"D.
Weighs 1 lb. 1.3 oz. For in-store inquiries, use sku #2265571.